Similar to YUMI, SARDU, and XBOOT. Though I prefer YUMI out of all of them. This a good alternative. Standalone Executable. stealth?. Didn't find any settings files /registry in sandbox. Last edited by Userfriendly on Fri Feb 20, 2015 12:15 pm, edited 1 time in total. Excellent. I've seen a few multi-distro creators and was hoping one of them was portable. Great if you have a very big thumb drive sitting around not doing anything and want to put something on it in case of emergency. MultiBootUSB v7.30 released (changelog at http://multibootusb.org/news/). Updated it. I don't remember it leaving any Temp files before but I guess it does now. Also seems to leave them dumb trolltech qt4 reg keys too. I know temp files are an exception to the stealth rule but how about the trolltech stuff? Sure it leaves a trace but it does nothing and sometimes doesn't really tell you what application was used. Even CCleaner lets you clean those keys out just like temp files. yeah, me too. i'm just using portable apps on a secondary partition and re-install the OS from time to time. edit: btw, next release of SARDU will supposedly be free of adware. So it need to be completely re-tested and instructions about possible extraction added to the entry. Userfriendly, are you still here? 8.1.0 is extractable with 7zip or uniextract. Still leaves the same temp files. Doesn't seem to have trolltech regkeys anymore. Not tested very much. 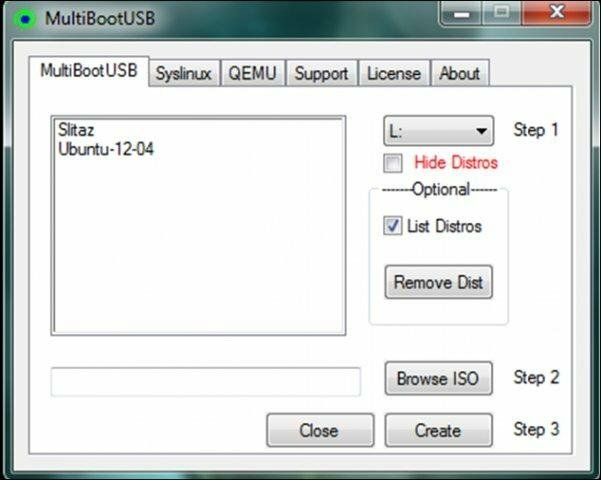 MultiBootUSB version 8.1.0 writes to AppData- C:\Users\UserName\AppData\Local\Temp\multibootusb folder containing 3 sub-folders- iso_cfg_ext_dir, preference and syslinux. For me MultiBootUSB is not portable. I hate when exit confirmation (Do you really want to quit multibootusb?) cannot be disabled.